Pick-up from Jaipur Airport, Railway Station or Bus Stand and transfer to hotel. After lunch, proceed for 1/2 day sightseeing tour covering Birla Mandir, Albert Hall Museum and Jal Mahal. Overnight stay at hotel. After breakfast drive to Ajmer, visit the Dargah of Sufi Saint Moinuddin Chisti also known as Khwaja Gharib Nawaz. After lunch leave for Pushkar see the Holy Lake and visit the Brahma Temple, unique in the world. Later drive to Jodhpur and check-in at hotel for the night. Morning sightseeing of Jodhpur covering the Mehrangarh Fort, Umaid Bhawan Palace the present residence of the king of Jodhpur, Jaswant Thada, and Clock Tower. Later drive to Jaisalmer and check-in at hotel for the night. Full day sightseeing tour of Jaisalmer. 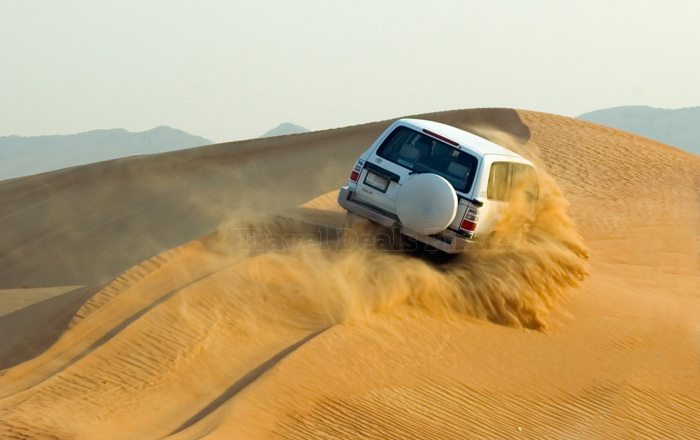 In the afternoon, proceed to the Khuri Sand Dunes, a typical Rajasthani Desert Village. Camel Safari, dinner with Rajasthani musicians and overnight stay in the Desert Camp. After breakfast drive to Bikaner, arrive and check in at hotel. Afternoon sightseeing of Bikaner and overnight stay at hotel. Next morning drive back to Jaipur and drop at Airport / Railway Station or Bus Stand for onward journey. If you have not decided yet or wants to customize tour itinerary or hotels listed above in "Jaipur City & Desert Tour", then we can change the travel itinerary and make a personalized, tailor-made holiday package, especially for you. We can modify this travel package as per your itinerary, budget, duration and the tourist places you would like to visit, including transportation and airfare should be included or not. Please fill the form below to contact us.